Famous English singer-songwriter, Robbie Williams will be coming to Kuala Lumpur to put on a show for all of his Malaysian fans this coming September! According to a press release, Williams had already started his 'Let Me Entertain You Tour' since 25th March with Madrid being the first city to witness his classic favourite hits live. The "Better Man" singer will also be visiting several other cities that he has not performed at before, including Barcelona, Hong Kong, Rome, Abu Dhabi and more. 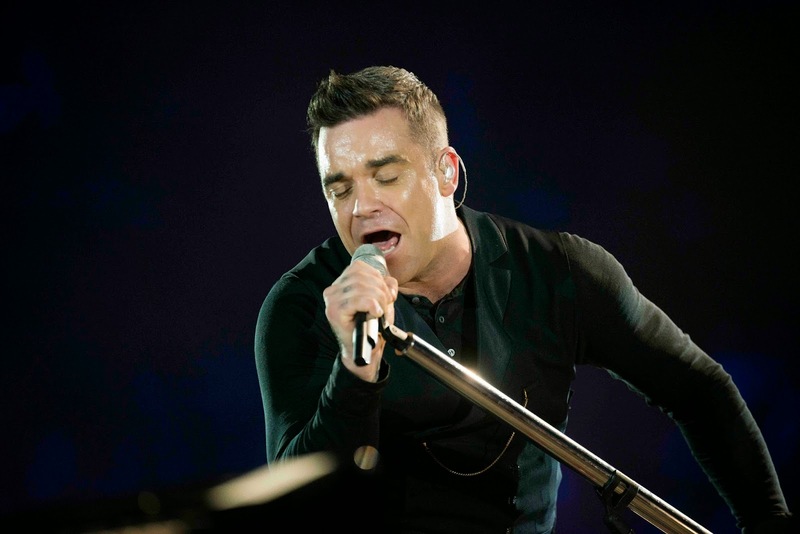 Robbie Williams has had a great career since he parted ways with the English boyband, Take That, to launch his solo career in 1996 by covering George Michael's "Freedom", which placed second in the U.K. Singles Chart. Since then, he has sold over 70 million albums worldwide and has remarkably won 17 BRIT Awards – more than any other artiste in history. Williams also holds a title in the Guinness Book of World Records for having the fastest and largest number of concert tickets sold in one day during the European leg of his 2006 World Tour. 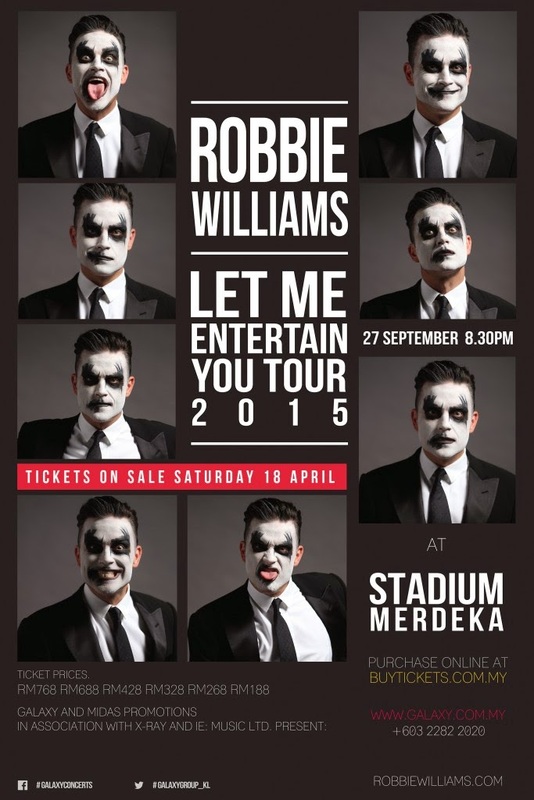 So as you can already guess, Williams will definitely not disappoint his Malaysian fans when he takes the stage at Stadium Merdeka on 27 September 2015. Ticket sales will start from 18 April onwards and is priced between RM188 to RM768.